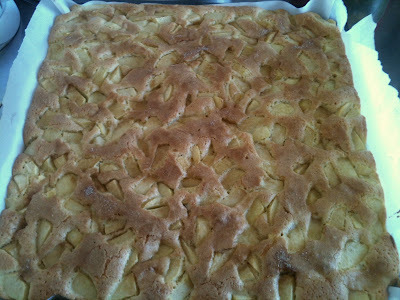 I found this apple cake recipe in an old children's cookbook of mine that I used to bake from over ten years ago. I had made this cake a long time ago so I decided to try it again and it came out to be delicious and really easy to make. This apple cake is moist, spongy and fits really well as coffee break in the afternoon. 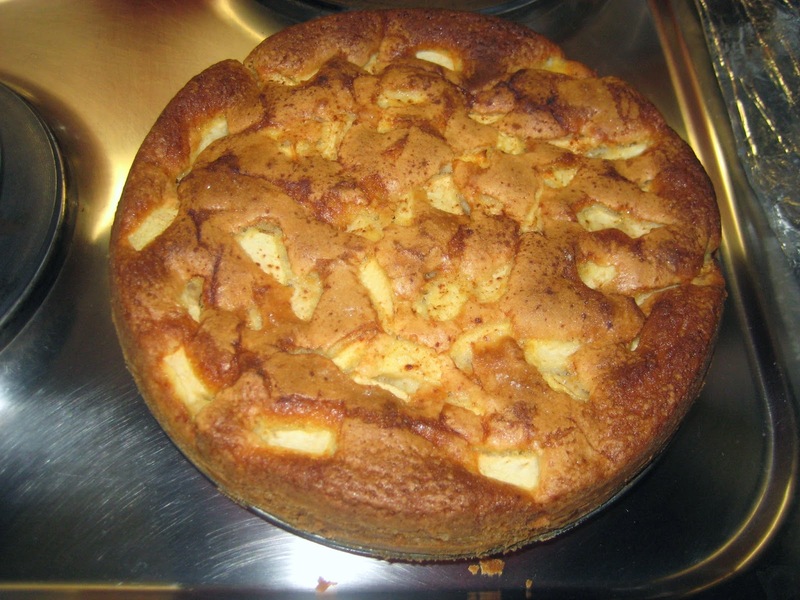 The apple and cinnamon combo is unbeatable (I find) but you could make this cake with any fruit that you like. You can keep this cake for a few days without it getting dry or you can even freeze it down so you can have some whenever you want. Prepare an oven-sized plate with parchment paper or a springform with butter and flour. Peel and cut the apples in small pieces or slices. Melt the butter and allow it to cool a bit. Beat up the sugar and the eggs until the mix becomes almost white. Dispose 1/2 of the apples on the cake form, add the cake batter, add the remaining apples and press them in the batter a bit. Sprinkle some sugar and cinnamon on top of the cake and bake in the oven at 200C approx. 30 min (if the cake darkens and is still not baked put aluminum foil on top of the cake to avoid burning it). I tried it, I loved it! Thanks for this good recipe.